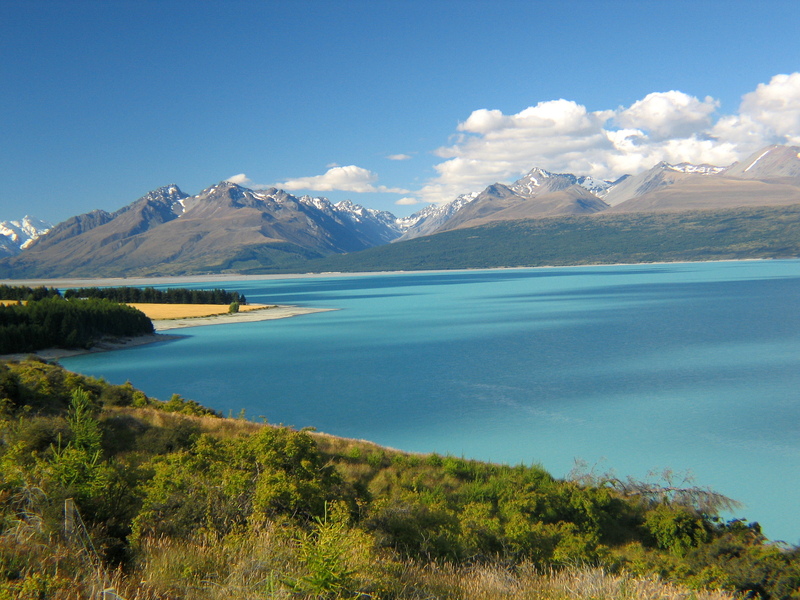 New Zealand is a land of incredible natural beauty, ranging from lush rainforests, to towering peaks covered with glaciers, to isolated fjords that on a clear day will absolutely take your breath away. 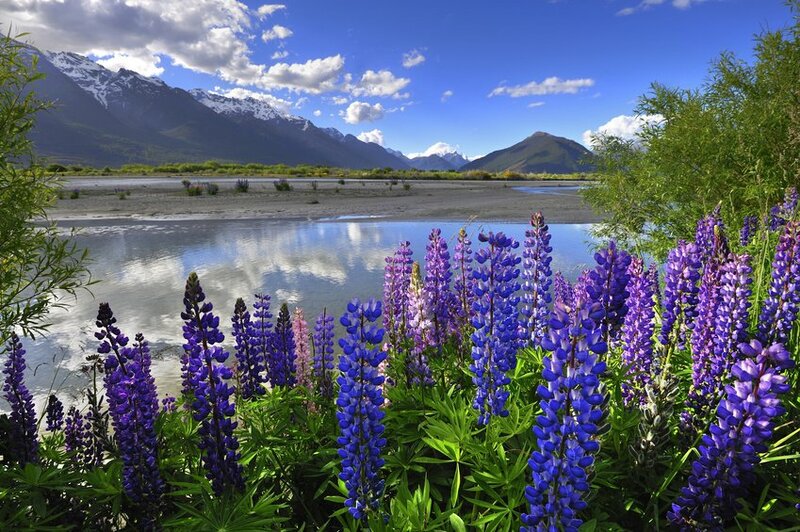 New Zealand is a country to be enjoyed out of doors. 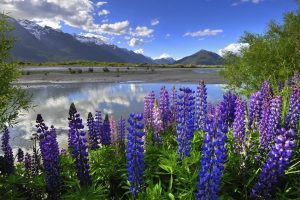 When you tell someone that you are going to be going “off the beaten path” you might as well be telling them you are going to New Zealand’s South Island. 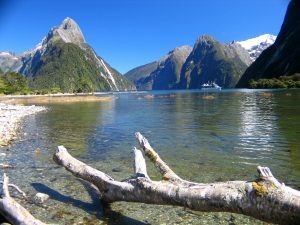 This article covers a recent trip the author took to New Zealand’s South Island, covering 14 days during parts of December and January 2005. This is summertime in New Zealand. Highlights, attractions, and miscellaneous notes from his trip will be covered in this article. 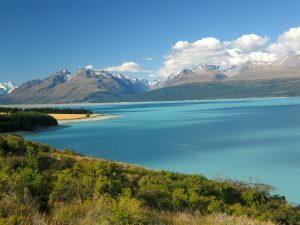 The South Island is small enough that you can see most of the main highlights in 14 days. If you enjoy a slower pace than at least 5 to 6 weeks is recommended. Renting a car is an absolute must if you are traveling by yourselves. If you come to New Zealand you should prepare for rain regardless of where you are traveling on the South Island. It can rain any time and sometimes even the summer has quite a bit of precipitation. Bring an umbrella and also a rain jacket. The route of the author’s trip is listed below. Keep in mind that you can vary this route quite a bit and build extra days into your trip for specific sights & attractions. Pick up rental car in Picton after taking the 3 hour ferry ride from Wellington. Drive through Blenheim, then onto the 63 through the Marlborough Valley, through St. Arnaud, then through Murchison. Continue on highway 6 to Westport and then down 6 through Greymouth, Hokitika – through to Franz Josef Glacier. Continue driving down the 6 until it moves inland at Haast to Wanaka. Then continue through the small tourist town of Arrowtown until Queenstown. Take 6 until the small town of Lumsden to Te Anau, and then drive to Milford Sound. Continue back on the 6 all the way back to Queenstown through to Cromwell and then up the 8 to Twizel. From there continue to Mt. Cook. Then drive back on the 80 to the 8 to the 83 and drive on the 83 all the way to Oamaru. Then drive up highway 1 to Timaru and take the scenic 72 to the 77 to the 73 which leads to Christchurch. From Milford Sound you can also drive back to Te Anau and then down to Invercargill and then either drive back up the island inland on the 8 or take the coastal highway 1 route.